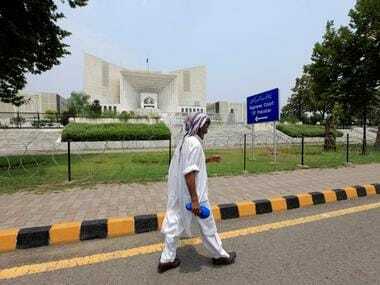 Pakistan's top court has ruled that schizophrenia does not fall within its legal definition of mental disorders, clearing the way for the execution, as soon as next week, of a mentally ill man convicted of murder. 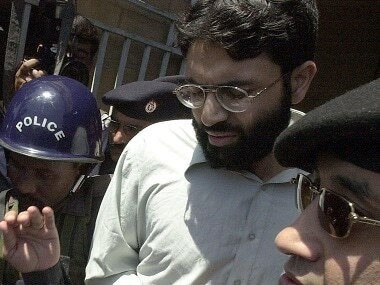 Government doctors in 2012 certified Imdad Ali, 50, as being a paranoid schizophrenic, after he was convicted and sentenced to death for the 2001 murder of a cleric. His lawyers say Ali is unfit to be executed as he is unable to understand his crime and punishment, and that doing so would violate Pakistan's obligations under a United Nations treaty, the International Covenant on Civil and Political Rights. However, a three-judge bench of Pakistan's Supreme Court, led by Chief Justice Anwer Zaheer Jamali, ruled that schizophrenia is "not a permanent mental disorder". "It is, therefore, a recoverable disease, which, in all the cases, does not fall within the definition of 'mental disorder'," the judges said in Thursday's verdict. The verdict relied on two dictionary definitions of the term 'schizophrenia', as well as a 1988 judgment by the Supreme Court in neighbouring India. The American Psychological Association defines schizophrenia as: "a serious mental illness characterised by incoherent or illogical thoughts, bizarre behavior and speech, and delusions or hallucinations, such as hearing voices". Dr Tahir Feroze, a government psychiatrist who has treated Ali for the last eight years of his incarceration, says he and two other doctors certified Ali's condition in 2012. Ali suffers from delusions that he controls the world, is persecuted and he hears voices in his head that command him, according to Feroze and Safia Bano, Ali's wife. "He is completely delusional," Bano told Reuters. Ali's lawyer, Sarah Belal, says the government report certifying Ali's condition had never been presented in court before 2016. In its judgment, the court dismissed the medical records and an affidavit from Feroze. The verdict is "outrageous", said the rights group Reprieve, which is based in Britain. "It is outrageous for Pakistan's Supreme Court to claim that schizophrenia is not a mental illness, and flies in the face of accepted medical knowledge, including Pakistan's own mental health laws," said Maya Foa, Reprieve's director. Pakistan has executed 425 people since reintroducing the death penalty in 2014, following a massacre at a Peshawar school where Taliban gunmen killed more than 150 people. Ali could now be executed as early as Wednesday. As a last resort, his wife said she would seek forgiveness for her husband from the heirs of the murder victim, a feature of Islamic law used in Pakistan that might help avert execution. "We have contacted some people who are close to his family," she said. "But they have so far refused to meet us."